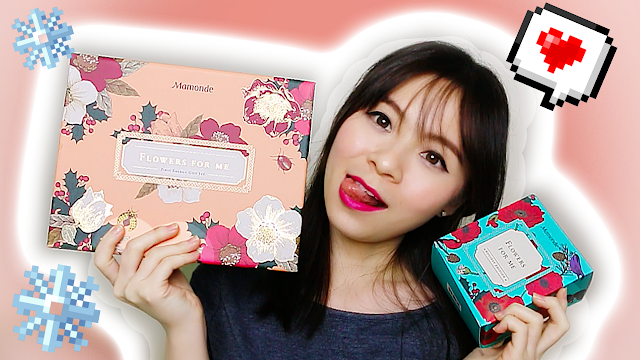 JQ Talks: Mamonde 2017 Holiday Collection Unboxing! That's the first thing that came to my mind when I first saw the packaging in person. 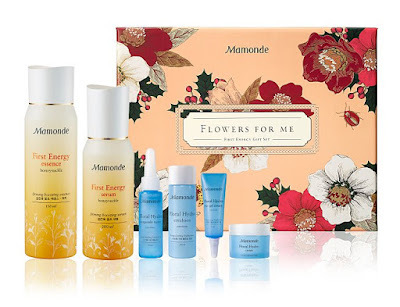 Mamonde themed these 'Flowers for Me' because they want to remind people that they should start rewarding themselves this year as most often people tend to forget about themselves when the buy presents for others during this festive season. Momonde's Flowers for Me Holiday Collection 2017 consists of 4 gift sets. I was sent two sets and I've unboxed them in the video below for you to have a closer look at how they packaged them inside. 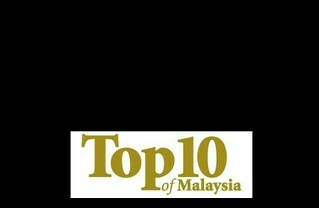 This is a skincare set that includes some of their best-sellers. This features a Holiday Limited Edition Brightening Cover Powder Cushion in Medium Beige 21N and Natural Beige 23N, basically it's really just the case that's Limited Edition, look at how pretty the case looks! Then, there are two Holiday Limited Edition Creamy Tint Color Balm in 05 Blooming Rose and 11 Velvet Red. Both lippies are super pigmented and smooth. 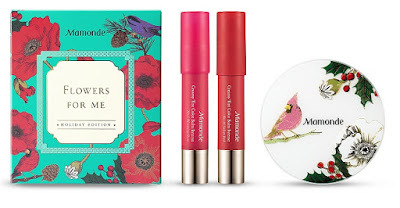 It's the same lipsticks as in the previous set. They took it out to sell them separately without the cushion.